Medical experts warn the diseased and desperate are now targets of a booming new stem cell industry in Florida promising better health. But we discover the truth is leaving some patients disappointed, frustrated and in some cases, sicker after treatment. Investigative Reporter Katie LaGrone shows you how to protect yourself. It's often called the medicine of tomorrow. Stem Cell Therapy uses your own specialized cells to heal certain injuries and specific diseases. 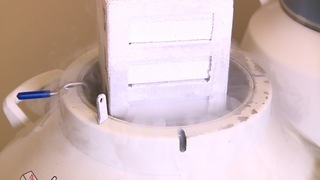 "Stem cells have a pretty promising wide-open future at some point," explains Dr. Bill Allen, a medical ethicist from the University of Florida Health at Shands Hospital in Gainesville. But across Florida, we've discovered stem cell clinics popping up like med spas and these clinics are offering sick and diseased patients some treatments that are unproven, many unregulated and potentially dangerous. 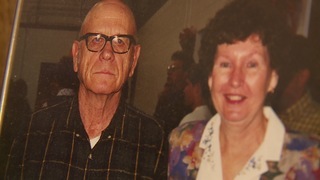 Dorothy Carver of Melrose, Florida was seeking hope for her 82-year-old husband who was dying of lung disease. "We thought it was worth a try just to breathe better," she explained when asked what she hoped stem cell therapy would do for him. 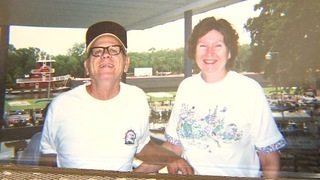 Olga Cassady of Port Richey wanted a little more time with her husband, Carl who was also dying of lung disease. 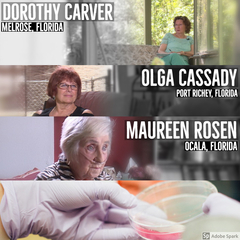 And Maureen Rosen of Ocala was just trying to slow down her bout with chronic obstructive pulmonary disease (COPD). "I thought this is great, I can go probably years without oxygen," she said after coming across a pitch for stem cell therapy in an ad at a doctor's office. The Lung Institute offered all three ladies an answer. "They told me I would feel so much better," said Maureen. "He'll definitely get some kind of improvement that's what they told me," explained Olga about the Institute's pitch to her. 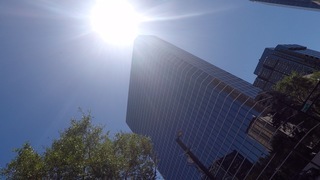 Inside a downtown Tampa skyscraper the Lung Institute's Florida branch occupies space on two floors. It's website features more than two dozen smiling clients along with claims it's 2-day "minimally invasive" stem cell therapies are "beneficial to patients during any stage of their disease." "None, it actually got worse," said Olga about her husband's condition. "He didn't improve at all. It just really got worse," explained Dorothy. "It seems like from the day I had it, I started to get worse," said Maureen. Dr. Allen explains while adult stem cell therapies offer great promise, its proven use is limited to certain blood disorders and blood cancers. "We wouldn't call it research if we knew it worked," said Dr. Allen when asked about its effectiveness on other incurable ailments and illnesses like lung diseases and lung cancer. Call it a stem cell "oversell" that's now prompting the Food & Drug Administration (FDA) to issue a series of warnings advising consumers not to "believe all the hype." We found stem cell clinics promising successful treatments for conditions ranging from wrinkle-reducers and pain management to lung cancers and diseases. Medical experts in Florida are also concerned consumers are getting duped by clinic pitches overselling the potential benefits of stem cell therapy. 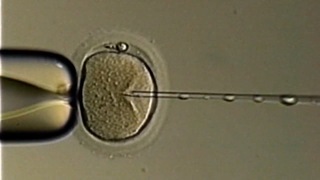 Of 570 for-profit stem cell clinics in the U.S. in 2016, 104 were in Florida, second only to California according to Cell Stem Cell, a peer reviewed journal. "Many of these treatments are experimental," said Dr. Steven Rosenberg of Florida's Board of Medicine which overseas doctors in Florida. "Patients are paying for something no one knows if it works or not," he said. Or, whether the therapy could actually make conditions worse. A few years ago, three women were blinded after a Broward County stem cell clinic sold them on therapy to treat macular degeneration, a progressive eye disease. Kristin Kozee's mom, Patsy Bade of Sarasota, was among them. "It ate her eyes. What it's done? It destroyed her life," explained Kozee who was forced to move her family from Kentucky to Florida so she could help her mom with daily activities. The clinic, US Stem Cell, eventually settled with her mom for an undisclosed amount of money. More lawsuits are being filed against stem clinics around the country including a class action lawsuit filed against the Lung Institute in 2016. In the lawusit, the clinic is accused of offering "sham treatments" based on "sham science and deception," according to court records. The Lung Institute refused to comment on the lawsuit or allow us into its Tampa clinic. A New York-based PR representative responded to our request for an interview with one line, "the Lung Institute had declined to participate in this story." A closer look at the Lung Institute's website offers a disclaimer at the bottom of its pages that states in part, "the efficacy of treatments are based solely on anecdotal support." A few months after spending nearly $6000 on stem cell therapy for lung disease, Dorothy Carver's husband, Bill, died of a heart attack. "I burned everything up that had the Lung Institute on it, I guess I blamed them," said Dorothy. 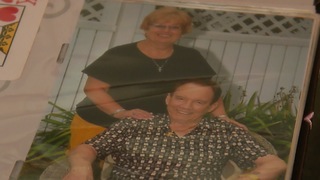 Olga Cassady's husband Carl, 82, took his last breath six months after his $11,000 treatment there. And today, Maureen Rosen is weighed down by more than just an oxygen tank. 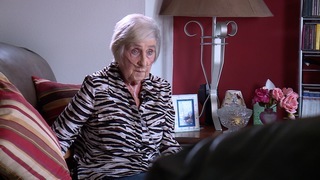 "Now it's a just a matter of time," she explained about her own fate with COPD. 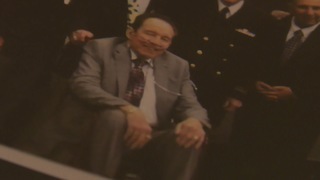 While there's no proof stem cell therapy caused any additional health problems for Bill Carver, Carl Cassady or Maureen Rosen all are now part of the class action lawsuit filed by Tampa attorney Ben Vinson against the Lung Institute after being sold on a pitch that tomorrow's medicine might just have been their answer today. If you want to participate in a clinical trial, experts advise you participate in trials conducted at universities and/or notable research institutions.